The Auschwitz Institute for Peace and Reconciliation (AIPR) marks the annual Day of Remembrance for the Cambodian Genocide on May 20, the date on which the atrocity began over 40 years ago. In one of the most fatal genocides of the 20th century, approximately 1.7 million individuals, over 20% of the Cambodian population, lost their lives to the brutality that took place between 1975 and 1979. Under the leadership of Pol Pot, the Khmer Rouge regime carried out a series of atrocities that included mass executions, displacement, forced labor, and exposure to starvation and disease. In 2001, the Cambodian National Assembly passed legislation to create the Extraordinary Chambers in the Courts of Cambodia for the Prosecution of Crimes Committed during the Period of Democratic Kampuchea (ECCC). 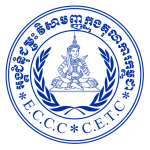 Two years later, the government of Cambodia reached an arrangement with the United Nations for international support to be provided to the ECCC. On this Day of Remembrance, AIPR commemorates those who perished in the horrors of the Cambodian genocide. Additionally, AIPR recognizes the important work being done by the ECCC and urges continued support for initiatives that work towards truth, justice, accountability, and the promotion of the rule of law, which all function to prevent future mass atrocities. Cambodia’s Day of Remembrance reminds us that the effects of genocide, and memory, are generational. While Cambodia still struggles with the decades-old legacy of the devastation imposed by the Khmer Rouge regime, we join them in a day of remembrance that both recognizes the suffering of those victimized by genocide in Cambodia as well as cements the legacy of that suffering in our collective memory. In so doing, we also are reminded that “Never Again,” the oft-repeated phrase following the Holocaust, remains an aspirational ideal yet to be achieved, but one which our global partners in genocide and atrocity prevention still believe can become a reality.